You never know when you might need the advice of a Miami Beach bar fight lawyer. It certainly isn’t anything you plan for in advance. It is only after the damage is done does one start to think “Was that necessary?” “Did that bar owner do everything the could to prevent fights?” “How many other fights happened in that Miami Beach bar?” Then and only then will you start to think that maybe now is the time to speak with the best Miami Beach bar fight attorney that you can call. 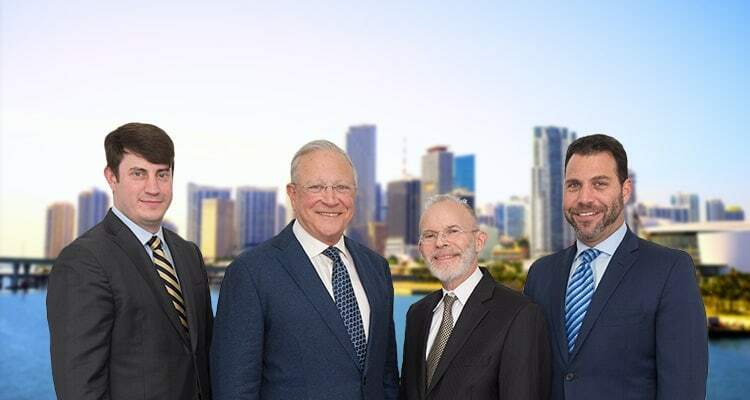 Here at the Gerson & Schwartz, our Miami Beach bar fight attorneys can help you figure out who was accountable and what legal options you may have. We have helped victims who were injured and the families of those killed for more than 40 years and we are here to help you as well. Just call us at (305) 371-6000 for your free consultation. You know the bar scene. Friendly people, having a couple of drinks, chatting, listening to music, having fun. But, after few drinks, things are not as ideal. Some people abuse alcohol, and if that awakes their aggressiveness, bar fights can follow. If you were in a Miami Beach bar and were injured in a bar fight, that can place you in need of a good Miami Beach personal injury lawyer. When good people suffer injuries in Miami Beach bar fights, it is necessary to determine who was responsible for the occurrence of the accident, because the liable person or even the bar itself may have to compensate the injured person or persons for the injuries and damages sustained. You could get injured in a bar fight as a participant in the fight or as a bystander. As a participant in the fight, you have been directly attacked by another person or even jumped by more than one person. Maybe it was unprovoked. Perhaps it was an overreaction. You may have been acting in self-defense. Was there a suitable security in the bar? Even small neighborhood bars need to be responsible when it comes to security. 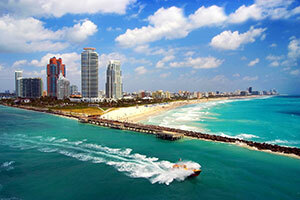 Miami Beach bars should have proper security measures in place is necessary. Was the attacker served alcohol prior to the attack? Bar staff should be trained to recognize when to stop serving alcohol to potentially aggressive guests. Are there any metal detectors at the entrance? There is no place for lethal weapon in bars. Did bouncers intervene on time? Or they didn’t intervene at all? If there were bouncers in the bar, they should have reacted on time to prevent the fight, or minimize it, in the first place. You have two options for damages recovery for personal injuries sustained in a bar fight. The first one is to claim damages from the person who caused the bar fight and your injuries. He/she may be liable to pay you for the damages they caused. However, ordinary people who fight in bars rarely have enough money to pay for all your losses. Unlike them, bars may be covered by insurance and may be responsible for the circumstances that led to your injuries in the Miami Beach bar fight. But, are they liable? They may well be and if so then they should be held to account. Under Florida premises liability laws, bars owe visitors a duty of care. It means an obligation to take all the reasonably necessary safety measures to provide safe entertainment environment for its visitors. When that duty is breached, often due to negligent security, Miami Beach bars may be responsible to pay your medical bills, lost wages and other damages depending on the facts of your case. The Miami Beach bar fight lawyers at Gerson & Schwartz are available for free consultations for victims who have been injured in Miami Beach bars. Call us now at (305) 371-6000. We don’t ask for fees until we recover for you.